Although it's one of Russia’s biggest cities, “The Burg” sometimes resembles more of a giant museum with all its churches and historical buildings to visit. However, the smells and sounds of the modern big city still fill the air of this place. There’s always some kind of murmur of activity to be heard wherever one might be. Then one day I stumbled onto a street that was completely empty and totally free of that murmur. It was as if the tall, colorful buildings completely blocked the sounds of the city (though I know there must be another explanation for the absolute silence I encountered on that street). As I walked on the cobblestones the only sound I could hear was that of my own footsteps. I took it all in. It was as if the complicated history of that city had been encapsulated in that one single place. And I suddenly, undisturbed by the noise of the rest of the world, could drink it all in. 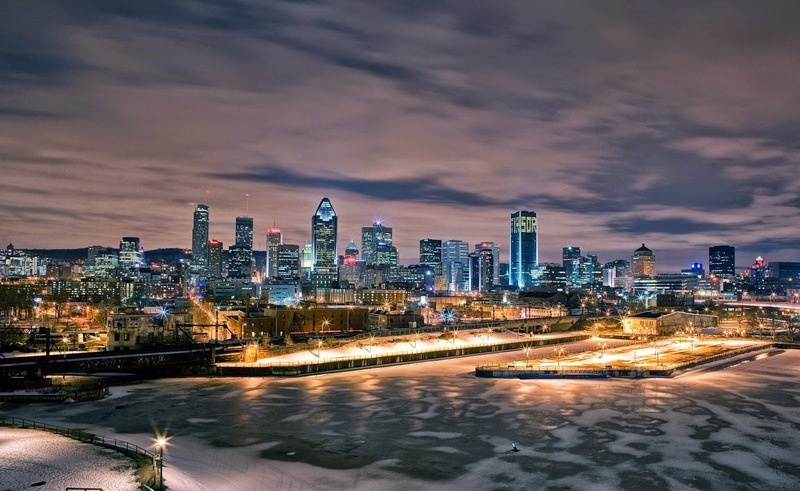 When I returned from the Burg, I was surprised to learn that through this trip I had developed a deep appreciation for the urban beauty of my own city, Montréal. Suddenly the Old Port, St. Catherine, the Plateau, and many other corners of the city became places where I could connect with beauty and, therefore, with God’s presence in the place. Even something as random as the way the sound of a saxophone bounces off the buildings during the Jazz fest, or how the old buildings seem to have so many stories to tell: these moments became a trigger for me, almost as if I were experiencing that same connection with my own city. I recently experienced this connection, this appreciation of the beauty of a city, very differently than I usually do. In an effort to kill some time one Sunday night I decided to go find a place to pray. Needless to say, there’s no shortage of churches in downtown Montréal and I was gradually making my way towards one of them. Then I realized that God was calling me to pray with the city. So I found myself a small park and sat for a good half-hour or more listening to God speak about this city, about my future as a Jesuit, and even, believe it or not, about potential ideas for an Ibo blog. My next blog entry will be the product of that idea! What began as an effort to kill some time ended up being one of the richest prayers I've ever had. I looked up to the city before me and found God’s calming voice in the buildings, and the trees, and birds, and the people that give this city its life. Montréal is not as exotic as that stunning, northern Russian city; but it has its own sacred places where one can really be in communion with the divine and connect with the world. So the next time someone tells you they can only see God in nature, tell them to take some time to walk on a busy downtown street and listen to the stories. Maybe through those stories and reflections, they will find a prayer and share a holy moment with this God who so yearns to share many moments with His children everyday!